The Platform Which Helps Libraries Thrive in a Digital-first World and Provide Superb Service to Users. Easy-to-use, Integrated, and Affordable! Help Users Find Resources and Information. Ensure Users’ Questions are Answered, 24/7. Maximize the Use of Library Services. Build Strong Relationships with Your Community. Promote Library Services, Events, and Spaces. Create, Curate, and Manage Content and Resources. Efficiently Utilize Staff Time to Better Serve Users. Analyze Library Statistics for Better Decision Making. Our tools are built by librarians, for librarians. They help you do more with less, make the best use of your limited time and resources, and empower you to deliver an exceptional user experience. Our active librarian user community is one of our greatest assets. Benefit from the experience of librarians world-wide and share best practices with the community of 120,000+ peers. Every year we add hundreds of new features based on the feedback from our librarian user community. The platform evolves along with the needs of the library profession. Customize Look & Feel to match your institution's branding. Multi-lingual capability via Language Customizations. 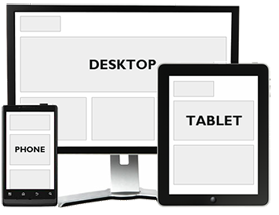 Responsive design - looks great on mobile, tablet, and desktop. We are committed to ensuring that all users can enjoy the benefits of the Springshare Platform. All our public pages are designed with accessibility in mind, and we are working on making admin pages fully accessible too. Patron privacy is critically important in a digital-first world. All patron-identifiable information is encrypted, and we conduct regular privacy audits. Local administrators can scrub and purge any patron identifiable-info at regular intervals. Deliver great online content and services for your users without the need of advanced HTML or web programming. RESTful APIs, customizable widgets, bootstrap templates, and advanced scripting - customize and integrate to your hearts' content. Worldwide data centers provide redundancy and data security. We handle the hosting so you can focus on content and services. Detailed usage statistics inside every tool help you make smarter decisions about your library services and resources usage. Provide a feature-rich online presence that exceeds users' expectations leading to an increased user engagement. The centerpiece of all our tools - librarians collaborating with other librarians to provide amazing service to users. Use LibApps account connectors for a single username/login for all Springshare tools and connect them with your local authentication schemes for easy login by librarians and patrons (Shibboleth, LDAP, AD, CAS, SIP, etc.). We provide a full set of APIs to get the data out (and put the data in) so your Springshare products become a centralized repository of your library's content and services, easily-distributed and pushed to any webpage or mobile app. Integrate the content from your Springshare tools with proxy servers (e.g. EZproxy), your Discovery Service, ILS, and other library systems. Contact Us about your integration needs and we'll help you make it happen! Our easy-to-use software tools are just the start. We back them with a customer service approach and commitment like no other in the library vendor world. We're here to help whenever you need us. Our customer support has consistently been rated as the best in the biz! We won't let you down. The worldwide community of librarians discusses best practices and shares information and inspiration on our community sites and on the Springshare Lounge virtual community. Free training webinars every week - sign up for as many as you need. Our twice-a-year, free, online user conferences showcase Springshare clients presenting on best practices and on using Springshare tools at their libraries. Students, faculty, administrators, and the library staff rave about LibGuides, LibCal, LibAnswers, and LibAnalytics. Why? Because access to the library resources and library instruction has never been easier. The More Tools You Use, The More You Save! Each tool in our Platform can be used independently. Pick and choose which tools fit the needs for your library and create a customized solution built for your needs. The more Springshare tools you use, the more you save! Single librarian account login for all tools in the Springshare Platform. Jump back and forth between tools easily. Full integration with your organization's authentication system. Highest levels of accessibility and security for your users. Open design enabling easy export and content integrations. Save $$ by using multiple tools. Start a free trial and see what the buzz is all about.